File Photo: HMS Albion and a Merlin helicopter. Assault ship HMS Albion is to join HMS Sutherland, with HMS Argyll due in the region later in the year. In the coming months HMS Albion, alongside HMS Sutherland, will be contributing to the international efforts to monitor prohibited trading at sea by the DPRK, which provides a major source of funding for its illegal nuclear programme. While in the region, both vessels will visit several ports and take part in joint training with allies and partners, including the US, the Republic of Korea and Japan. HMS Argyll will arrive in the region later in the year, when she will participate in a Five Power Defence Arrangements exercise with Australia, Malaysia, New Zealand and Singapore before also travelling to North East Asia for further joint training and exercises. The deployment of these three ships will mean that the Royal Navy will have a vessel in the strategically critical Asia-Pacific region for the first time since 2013 and will have an almost unbroken presence there this year. Defence Secretary Gavin Williamson announced today that HMS Albion has deployed to North East Asia to ‘safeguard free trade, partake in joint training and exercises, and support UN sanctions’ against the Democratic People’s Republic of Korea (DPRK). “Our Armed Forces are at the forefront of Global Britain, and the deployment of HMS Albion, Sutherland and Argyll demonstrates our unwavering commitment to our international responsibilities and to maintaining peace, security and prosperity in the region. 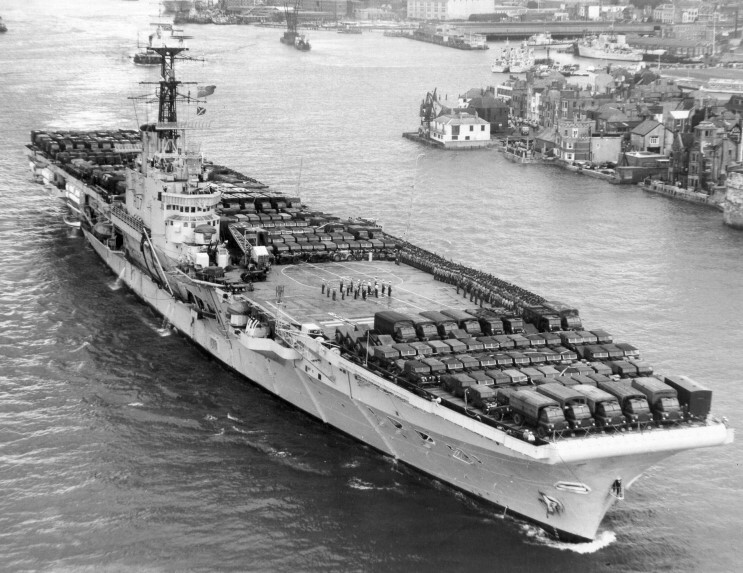 In the words of her operators, the Royal Navy, the role of the HMS Bulwark and HMS Albion, is to ‘deliver the punch of the Royal Marines ashore by air and by sea, with boats from the landing dock in the belly of the ship and by assault helicopter from the two-spot flight deck’. The LPDs can carry 256 troops, with their vehicles and combat supplies, and this can be swollen up to 405 troops. The ships act as the afloat command platform for the Royal Navy’s Amphibious Task Force and Landing Force Commanders when embarked. UK forces would be needed to evacuate UK citizens in the region in the event of hostilities, but a report released this morning states that there would be almost insuperable challenges for any evacuation to succeed if the UK further reduced its amphibious capability. The Defence Committee recently called on the government to give a categorical assurance that, as part of its Modernising Defence Programme, it has fully understood the essential role of amphibious capability in conducting civilian evacuations, as well as inserting troops from the sea. The MoD have confirmed that the UK has plans in place to deploy forces to the region if necessary. Earl Howe told the committee that the plans cover different scenarios but he provided no further detail for operational security reasons. The Minister did confirm that these plans include consideration of how long forces could be sustained and what forces could be deployed given the UK’s existing commitments across the world. For Britain, the largest rescue operation since the retreat from Dunkirk in 1940 was in 2006 in Lebanon­ with more than 22,000 British and dual nationals being moved out. Sixty were flown by RAF Chinook helicopters (pictured above) to Cyprus and others boarded Royal Navy vessels. We need to put the Defence budget up to 3%. Just thinking ahead a little… Can the docks / piers at RN Sembawang even TAKE a QE or will it be an offshore anchorage? Maybe a USN carrier could be there as well when that visit occurs (as it surely will?. Wikipedia cites a couple of sources, e.g. http://www.military-today.com/navy/albion_class.htm, which seem to support it’s numbers. Who is right? I suppose maybe they both are and Wikipedia is in effect saying that the “swollen” number of 405 troops mentioned in this article can, in extremis, go even higher to an overload number of 710. Interesting comment by Gabriele on his Blog. Albion going to Far East. 1 Bay in Carribean for 3 year deployment. 1 Bay in Gulf supporting MCMV. 1 Bay left in UK. In effect we have no ready Amphibious capability already, the ships are deployed. Need more cheaper ships like T31 and River 2 ASAP. Would you rather they were all laid up in UK harbours twiddling their thumbs? Its good that the majority of them are all deployed. Shows the RN still has the will and capability for power projection. Would be even better if Bulwark was taken out of reserve but needs must i guess if we can’t crew it properly. Also River class would be the wrong type of vessel for a long deployment prowling around the Pacific looking for North Korean ships. They are better suited to operations in littoral waters. But yes i agree with you that this would be the perfect deployment for a type 31. Agree with the ability to power project. 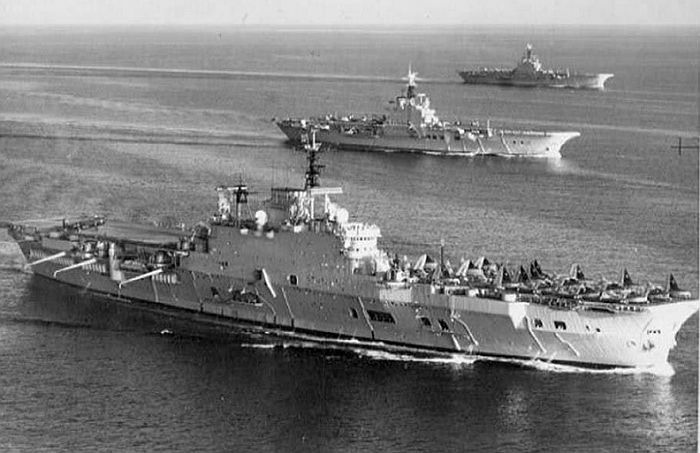 It emphasises how stretched the RN is and the need, as stated for more general escorts. River I mentioned because they could relieve other assets in areas like you specify, enabling such to then go to other areas like the Pacific. Where did I say a River could be used to sail to the Pacific!? I did not. Agree we need Type 31 ASAP and in greater numbers. The Royal Navy needs lots of multipurpose frigates built quickly and cost effectively. The T31 is best way to achieve that, the T26’s are too expensive and because of that there will only ever be a small number of them. The a Royal Navy needs to start growing again for our Allies to take us seriously. Glory Days – Eagle, Albion, and Bulwark. Is Albion given this assignment bcause it has C3 capabilities or because we are short of frigates? I assume we are not planning a RM assault on North Korea. My guess is short of Frigates. Agree with your other post. Taken at face value this job looks like a text book constabulary task for Type 31. I cannot see why we would need C3 capabilities on station. What the RN needs now is presence. It will have its CBG. It will ( hopefully ) have its amphibious group. It will have continuous Nuclear deterrent. It will have the SSN’s. it will have first rank ships, limited in number but of quality for its KEY roles. I’m looking for expansion of the RFA and increased personnel and Type 31, River, and autonomous systems. Maybe not C3 capabilities but an ideal vessel for enforcing a blockade would have at least one helicopter. Maybe it is going to perform the command and control role. HMG is getting the fleet out there, fleet managers are working with the assets and the manpower available to satisfy increased demand. Let’s see if she is deploying with helicopters and let’s see what she’s carrying in the dock. Sanction busting ships do not necessarily need frigates and destroyers to stop them, what stops them is presence and the ability to react quickly to good intelligence. We now have an LPD east of Suez, who would have thought that possible 6 months ago? Wow. I had no idea the main room for battle staff was on that scale. I’m beginning to understand what a big loss Albion & Bullwark would have been had they been lost – hopefully it is “would have been” and that particular cut has been avoided. I take it this means where keeping her. Not guaranteed. It is currently on its regular deployment, has been for 2 months. As they should i believe. The Japanese Maritime Self Defence Force is going from strength to strength and is arguably the most capable in the Pacific. In the future i would like us to start sending actual ships to the RIMPAC exercises instead of just observers. These are the kind of defence relations that we need to be fostering. All middle ranking civil servants need a military awareness course. We need people to be thinking in terms of how conflicts require UK to think and act. A pretty pointless deployment, from a military perspective. I doubt it is fully loaded with marines or helicopters and not enough escorts with it. However, politically, this is a master move by the Navy/MOD, to show that these ships are too important to lose. Interesting USNI article here. The USN just announced that the LXR program which is the follow-on LSD replacement for the service is being designated as the San Antonio Class LPD Flight II’s. It’s a pretty dramatic increase in capability over the old Whidbey Island Class LSD’s that are essentially basic amphibious trucks lacking any real facilities for independent operations or external command and control capability. Anyone know how a San Antonio stacks up against an Albion? All military vessels can spoof it. Yes i have noticed lots of Tugs and Special craft and ships being i two places at once. Can somebody clarify, to what extent are Albion, Sutherland and / or Argyll going to be in theatre at the same time, and to what extent are they going to be cooperating?